Say hello to the Apple Magic Mouse – the world’s first multi-touch mouse. As usual, Apple have taken an everyday product and instilled it with their signature design touches and ultimate functionality. 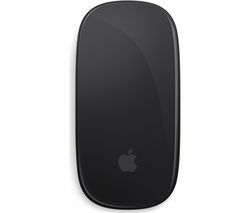 With its silky-smooth upper shell, the wireless Apple mouse allows you to click anywhere, scroll in any direction, and easily swipe through applications, web pages and images by just tapping and running your fingers over its touch-sensitive surface. Its wireless design means there’s no more pesky cables to get in the way, connecting via Bluetooth to give you an operational distance of up to 10m. 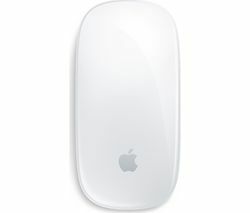 The Apple Mac mouse is a laser tracking mouse that can be used on practically any surface and features gesture support that makes cursor control and navigation truly intuitive. The Apple mouse can also be customised to suit the way you compute – by altering system preferences you can revert to traditional two-button clicking and more. For the ultimate computing experience, get more from your Mac with the Apple mouse. For even more control, add an Apple Magic trackpad, or check out our range of HP mice for a wider selection of mouse designs.